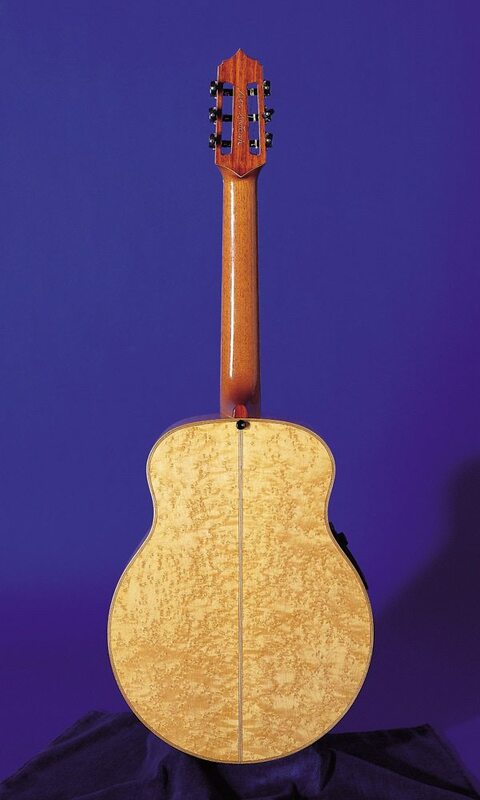 This nylon string guitar is the product of a marriage of modern and traditional designs. Its sound achieves the necessary balance between the traditional Spanish guitar and the brightness and presence required by many modern guitarists. 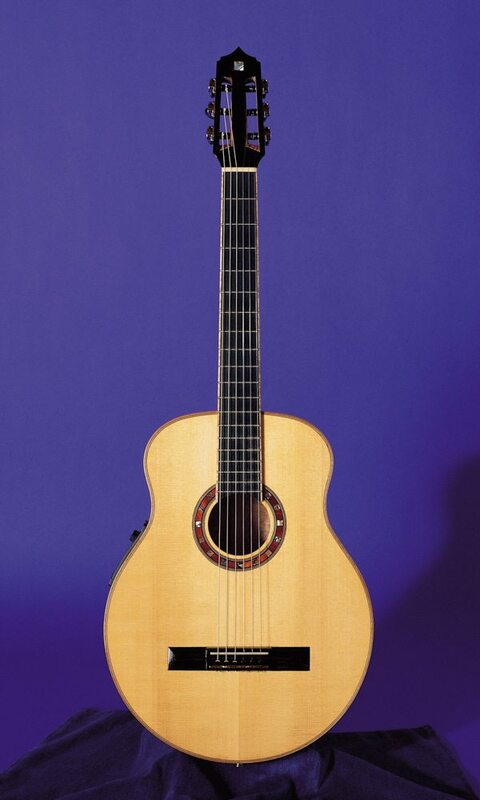 The size and shape of the body, the bridge position and the bracing pattern allow this guitar to maintain its deep classical sound while increasing its sustain and brilliance; allowing for a most expressive instrument with a great subtlety of sound.